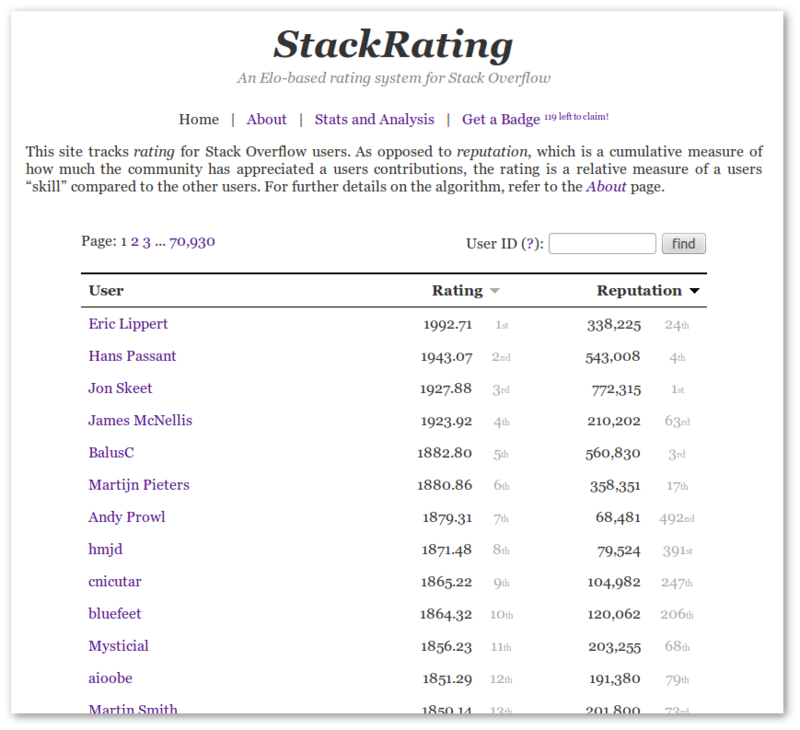 StackRating.com tracks user ratings which is a measure of users “skill”. It does so by comparing the number of upvotes on the answers of each question and uses the formula of the Elo rating system to update the users ratings. For a detailed explanation of how it works and how to interpret the rating numbers, see the about page. The webapp was created by me, aioobe, with feedback from dacwe. You can reach me at andreas.lundblad@gmail.com. 2015-05-08: Fixed bug due to SE API outage. 2015-05-13: Score no longer depends on age of answer. 2016-01-04: Big rewrite. Automatic monitoring of new questions working properly now. 2017-06-25: Added HTTPS support. Update your badge links! Browse other questions tagged app users website .